In 2012 Billy Urich identified over 250 prides globally as part of InterPride’s PrideRadar efforts. In 2014 I took over. With the support of numerous people close to 1.200 prides around the world are identified. A global pride research disclosed the trends in the pride movement. PrideRadar became a flagship product for InterPride. You can download the report by clicking on the cover. 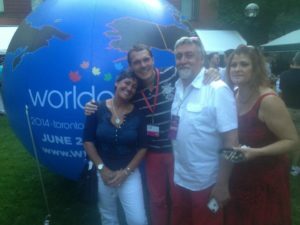 WorldPride Toronto with the creator of the rainbow flag Gilbert Baker. Connecting and reaching out is important for boardmembers of InterPride. In recent years I focused on prides in hostile or underrepresented areas. I visited prides in Uganda, HongKong, Johannesburg, Cuba, numerous prides in Eastern Europe and Israel. Meeting and understanding the needs of InterPride members can be achieved by attending regional and national conferences. I attended NERP, CAPI, FCP, POSE, EPOA, Region 10 (UKPON), region 11 (Sweden), Region 12 (CSD Deutschland) and met with many amazing people. During EuroPride in Amsterdam en Stockholm I organized Pride leadership events for Pride organizers attending the EuroPrides to meet and network together. 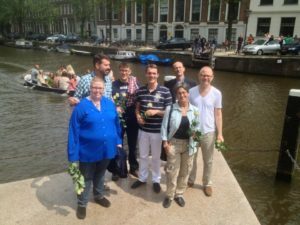 Earlier I brought two representatives of the boards of InterPride, ILGA and GLISA together in Amsterdam for a first joined meeting ever. As co-chair of the Human Rights Committee together with Michele Irimia we worked on a solid Human Rights program for InterPride. We launched a webinar program, introduced online streaming of workshops (experimental phase) and made sure the application for the ECOSOC status at the UN was submitted. We made sure statements were released for example on the crackdown of Uganda Pride, Beirut Pride and Istanbul Pride and letters of support were sent for example to Cluj Pride in Romania and Starkville Pride. Workshops about Human Rights and Pride, Sustainability of Pride, Culture and Inclusivity of Pride are delivered on multiple conferences. Round table sessions were organized in for example Tel Aviv and speeches at Pride events in hostile environment of underrepresented areas delivered. Outside of Canada, USA and Europe InterPride had almost no members, almost no regional directors and there was little connection with the regional pride movement. 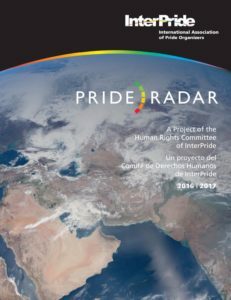 Last three years I focussed on Africa, South and Middle America, the Caribbean and India to stimulate the development of Pride Platforms, strengthen the RD-networks and increase the memberships. 15 New regional director got appointed or elected. 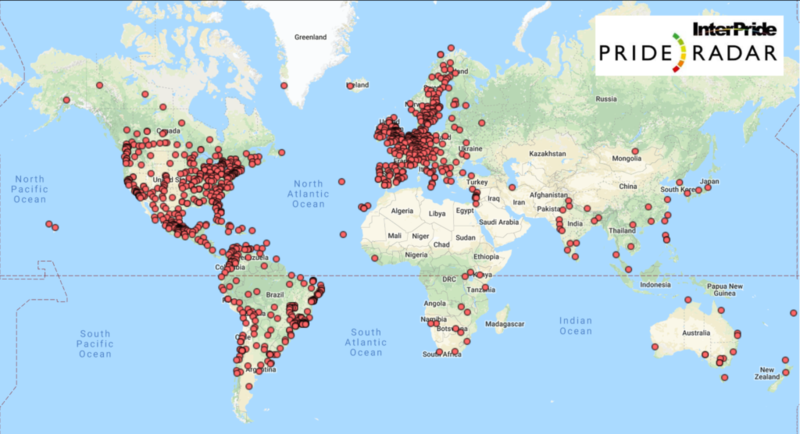 They are the grassroot activists to launch Platforms in Latin America, (South) Africa and Caribbean soon and have grown the membership in their regions. It makes InterPride a truly global organization.